The Resource Library for agents and advisors comes complete with Insurance PDFs and Information Guides that helps agents and advisors serve consumers most effectively. By sharing the information consumers care about — price, protection and service — agents, advisors and insurance companies build trust with consumers. Everything in our resource library is free. Download the Insurance PDFs that are most applicable to you. Agency owners are looking for ways to win new customers, keep existing customers and reduce the cost of doing business. Read this insurance PDF to learn how to compete in this rapidly changing environment and build a more profitable business. 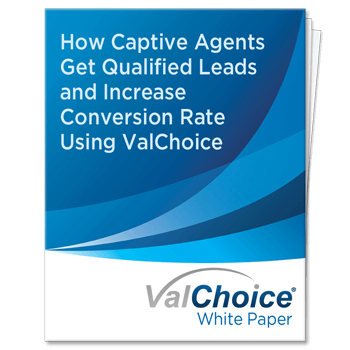 Every company wants their agents to be successful, but many struggle to provide the sales tools needed to increase conversion rate. Read this white paper to understand how you and your company can significantly increase the production of your team of producers. Great advertisements generate interest; lots of interest, but those leads often only care about price. 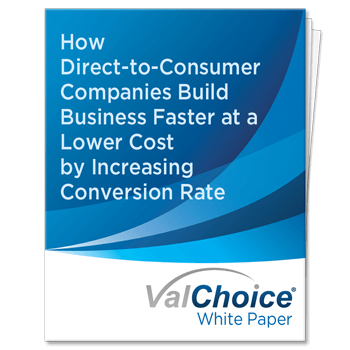 Learn about ValChoice conversion rate tools that differentiate product based on quality and value, metrics that are equally as important as price. With insurance becoming an increasingly larger drain on the clients’ income, insurance needs to be treated as an asset. Finally, a tool for financial advisors enabling you to intelligently guide clients on how to reliably insure against risks, without wasting money. Independent agents can win in a changing environment. Read this insurance PDF to learn how to effectively compete against direct-to-consumer competitors, Internet sites, Wal-Mart and other competitors that want a piece of your business. Read this white paper to learn how to compete in this rapidly changing environment. Differentiated products reduce marketing costs and create customer loyalty. Download this insurance PDF to learn how insurance companies use ValChoice analytics to differentiate from their competition and win in their target markets. "I had no idea how my long-standing insurance company compared. ValChoice showed me that they ranked near the top. And with that information, I had the confidence to continue with my current provider." "With four young children, I need to know I’m protected if anything happens to me or my family. 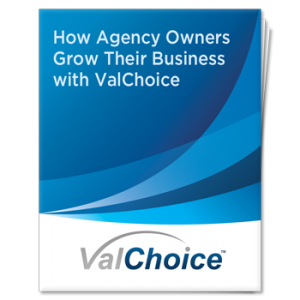 Thanks to ValChoice, I found out my insurance company was rated extremely low, prompting me to move my business to a better provider in order to ensure my family’s future."